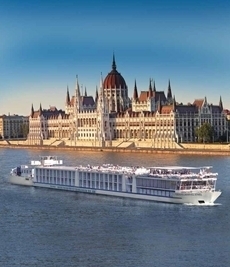 Discover the world’s great waterways with APT River Cruises, and experience the most relaxing and stylish way to travel the rivers of Europe and beyond. First established in 1927, APT are experts in river travel and understand exactly what it takes to guarantee a timeless and unforgettable holiday in stunning destinations across the globe. Choose APT River Cruises for your next cruise and enjoy an exceptional array of perks and privileges, including fully-inclusive excursions, meals, drinks, overseas transfers, airport taxes, and gratuities. Everything is taken care of to ensure your complete relaxation and peace of mind, so you can simply sit back, relax, and enjoy the journey. From the historic capitals of Europe to the mystical waters of Southeast Asia. With APT, you can savour the very best in luxury or premium travel for an extraordinary getaway you’ll never forget. No matter where your wanderlust takes you next, you can get there with APT River Cruises. Having partnered with AmaWaterways, APT now offer luxury river cruises to an exciting array of global destinations, including Europe, China, India, and Southeast Asia—giving you more opportunities to indulge in a culture-rich cruising break. Whether you want to explore exciting European cities such as Paris, Cologne, Budapest, and Prague or experience the trip of a lifetime through Asia—APT River Cruises place a special emphasis on cultural immersion, allowing you ample time to experience the authentic local customs and traditions of some of the world’s most enriching destinations. To help you experience each destination to the fullest, APT offer a range of inclusive excursions called Signature Experiences. These daily activities are carefully designed to offer insights into the history, culture, and lifestyle of each destination, and there are plenty to choose from, allowing you tailor your holiday to your exact requirements. As well as its signature river ships, APT River Cruises also have a handful of small ships, ensuring a seamless transition between the world’s great rivers and seas. The finest of these is L’Austral, a luxury mega yacht offering outstanding attention to detail and ground-breaking innovations. Offering class-leading space and innovation, the APT Concerto class of river ships boast spacious suites, exclusive dining venues, and fully-equipped wellness and entertainment zones—providing a veritable floating hotel as you cruise the waters of Europe. APT have brought their take on premium luxury river cruising to the waters of Southeast Asia, and currently operate three river ships on the Mekong, Irrawaddy, and Yangzi rivers—providing safe and luxurious passage on these amazing waterways. One of the first major river cruise lines to offer sailings on the mighty Ganges River in India, APT currently operate the RV Ganges Voyager on this dramatic waterway. With its art deco design, this elegant river ship offers a slice of nostalgia on the exotic waters of the Ganges. More akin to a luxury boutique hotel than a standard river ship, the MS Surikov has been hand-built to cruise the waters of the Volga River—affording elegant and contemporary passage between some of Europe’s most prestigious landmarks. Watch our video and see what APT has to offer!